Barry Johnson has worked as a Lloyd’s broker for over 40 years. He has a wealth of experience and knowledge in the handling and development of worldwide Insurance and Reinsurance business. He has established long term relationships with a strong client base and has specialist knowledge of Life, Accident and Health products and markets. 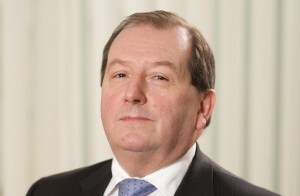 Barry’s previous positions were as a director at Alwen Hough Johnson Ltd and an executive director at Willis and E.W. Payne.